The statistics are disturbing isn’t it? The worldwide recycling rate are increasing day by day so is the amount of waste generated. More the goods are produced, more are the natural resources used and more is the amount of waste generated. The infographics states some of the interesting yet alarming facts about recycling and are sufficient to make us realise- IT’S NOW OR NEVER. All of us should realize that we need to do a lot more. There exist countries that aren’t even aware about recycling and reusing. Taking about the amount of waste generation alone in the UK the figures are jaw dropping. Aluminium comes from the family of being 100% recyclable. 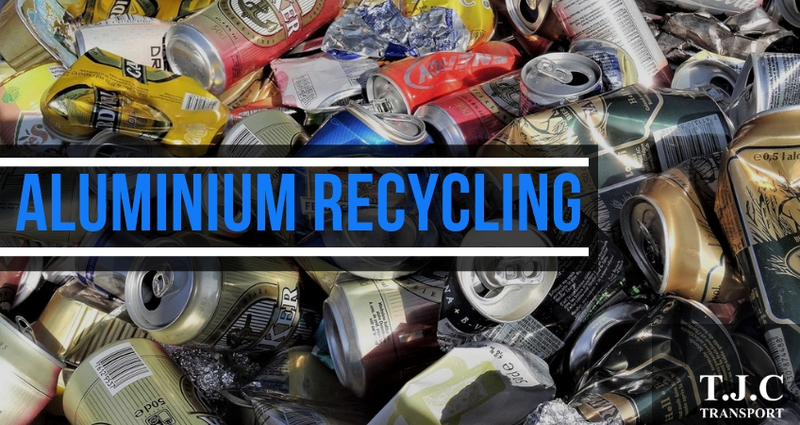 Any item big or small made from aluminium can be recycled repeatedly each time. Statistics say on an average every minute about 100K aluminium cans are recycled. There are endless advantages of recycling. Recycling can save tonnes of our natural energy resources that could be efficiently used for other survival needs on the planet. If you are desperately looking for skip hire company in Southend, then T.J.C. Transport has you covered. For more about grab hire, haulage, muck away and recycling benefits get in touch with us today. For more information request a call and get our experts on the call and ask your query.